I love macarons above all other cookies/biscuits. 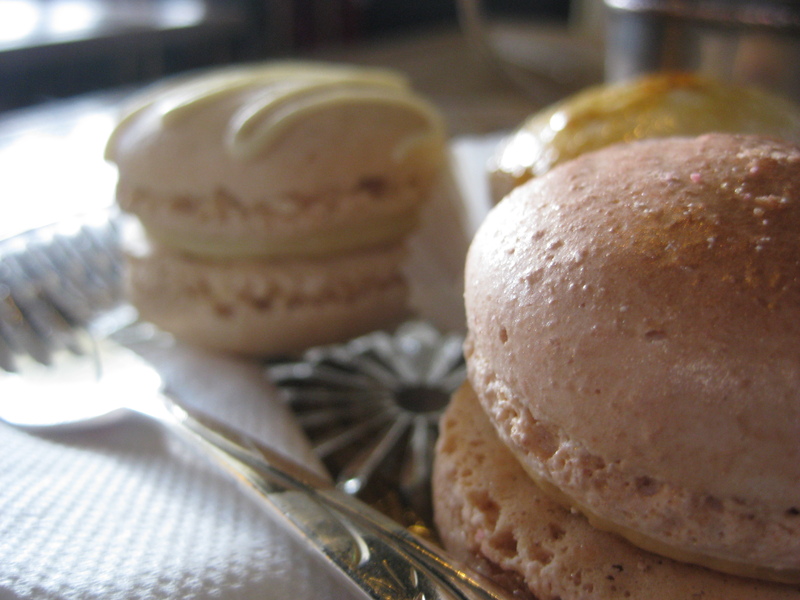 With this in mind the mere prospect of a day with even the hint of macarons is a happy day indeed. Recently I had just such a day! Rain was a fiend not powerful enough to even bruise my spirits. I was on a mission, a macaron mission! Cafe de Beaumachais is nestled amongst the quaint cafes and boutiques of the idealic Sassafras, up Mt Dandenong in Melbourne’s leafy outer-Eastern suburbs. The sensational setting is only the beginning of the joys in store for the visitor of this little gem. Stepping through the apt, french doors, one feels as though they are transported through time and space to the heart of provincial France. The stately black walls are lightened and serve to highlight frames and their aptly chosen content. the understated opulence imparts a desire within to sit up that little bit straighter and not spill a crumb, though at the same time puts you at ease with a sense of calm reinforced by the warm and friendly staff. All thoughts of surrounds, however, are put out of mind upon seeing the bountiful baked goods enclosed in their protective glass case, the contents of which will tempt even the most determined dieter. There is of course a downside, but of course there always must be some shadow, for without the shadow how is the brilliance of the light shown. The downside in this instance is that with so many tasty treats on offer, decisions must be made and calories limited. For me there was no looking past those rows of macarons. 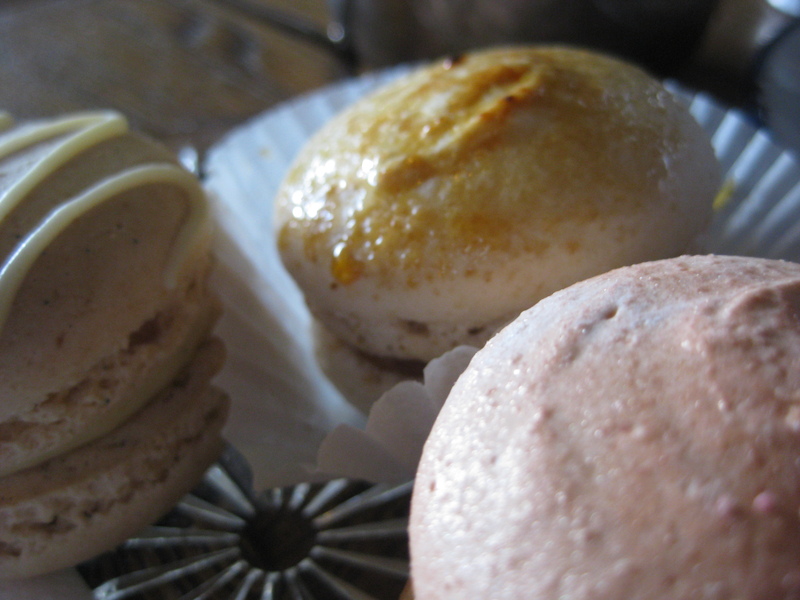 Though even by reduction within my field of options, hard choices still had to be made… After due time and consideration the decision was made – the lovely trifecta that would prove to be the very best of lunches: French Vanilla, Salted Caramel and Creme Brulee Macarons. 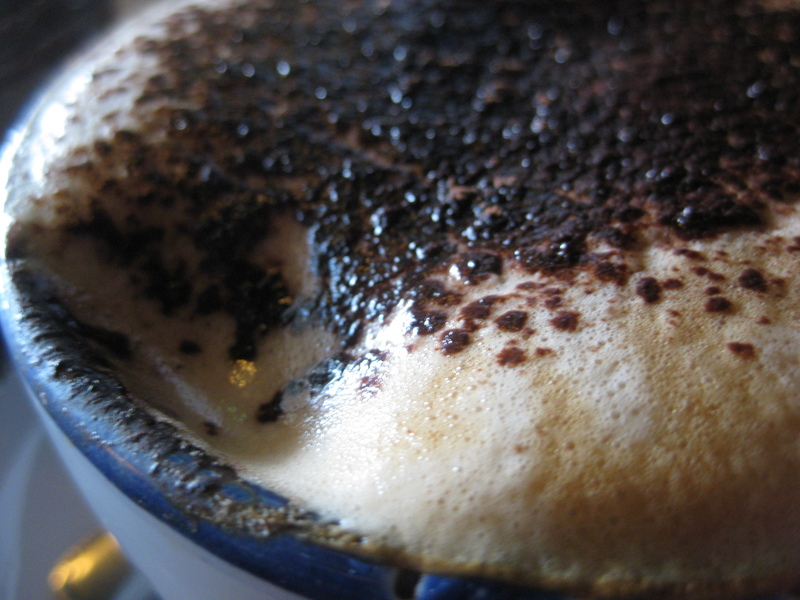 To accompany these little treasures a perfect cappuccino was also called upon. To say that the taste was worth a little drive or a bit of a search for parking would be a dramatic understatement! Corner Woodlands Avenue and Mt Dandenong Tourist Road, Sassafrass Enjoy! 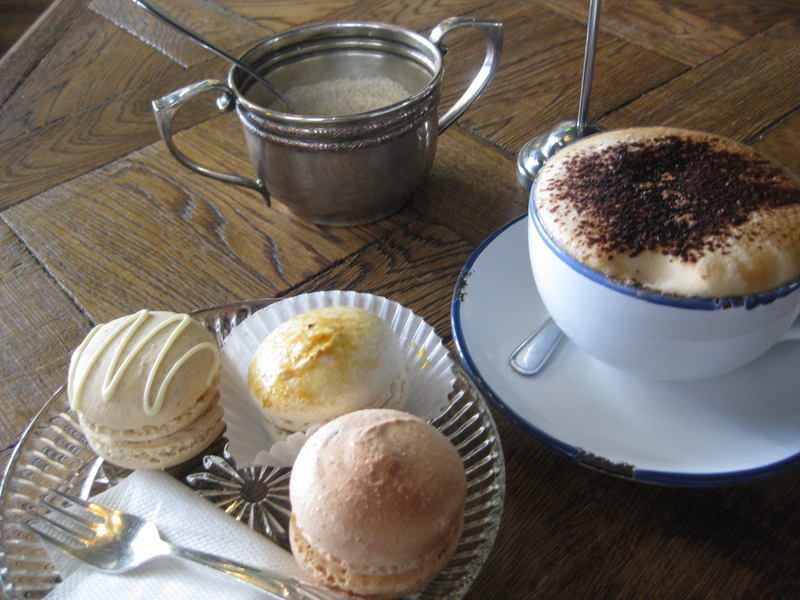 This entry was posted in Dessert, French, Review and tagged cafe, food, French, Macaron, Melbourne, Mt Dandenong, review. Bookmark the permalink.